Views expressed on this Noticeboard may not necessarily represent those of Rights in Russia. Nikolay Shchur’s book, published in 2017, is called “FSIN Empire” (FSIN is the Federal Service for the Implementation of Punishments), with the subtitle “A Short Guide to Russian Prisons”. In 1994, when Nikolay was chairman of the Snezhinsk Ecological Foundation, he was arrested and held in a pre-trial detention centre for six months on trumped--up charges for trying to draw attention to the pollution caused by the military near Chelyabinsk. Since then he and his wife, Tatyana, in addition to their activities as ecologists, have become experts on Russian prisons – they both became members of Public Monitoring Commissions (ОNK) as soon as they were formed in Russia, so they really know the Russian Penal Service inside out. This is a joint event of the Pushkin Club and Rights in Russia. 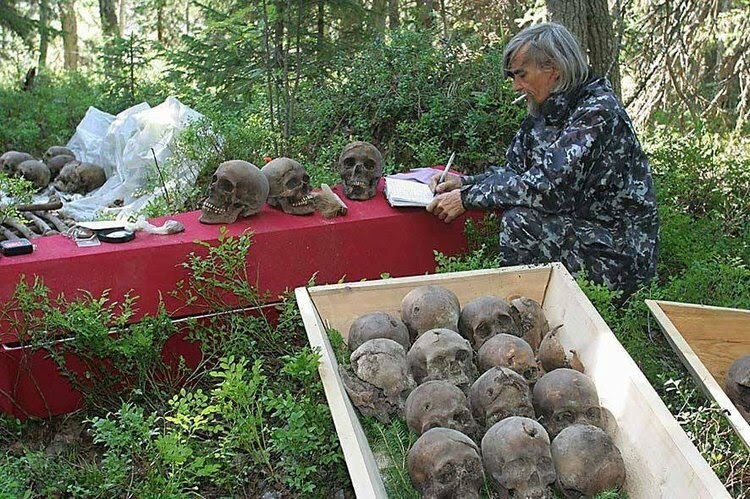 In 1993 Nikolai organized the first ecological organization in the “closed” town of Snezhinsk, Chelyabinsk region, and tried to draw public attention to the radioactive contamination of the area. This was the reason for his arrest on trumped-up charges and 6 months in custody in a pre-trial detention centre. After his release, he carried on with his civic activities. He was behind the first human rights NGOs in the Chelyabinsk region, published a newspaper, investigated contaminated areas and defended human rights violated by the authorities. Currently he is the head of 4 NGOs, which he set up together with his wife, Tatyana Shchur. He has written several books and manuals on defending human rights. Between 2010 and 2016 he was a member of the Public Monitoring Commission. He is a member of the Panel of Experts of the Association of independent observers of Russian prisons and the police. Nikolai Shchur received “Time” magazine's “Hero” award for 2005. In 2013 he won the national “Civic initiative” award. Irina Flige is a historian and Director of the Research and Information Centre “Memorial” in St Petersburg. For the last 30 years, “Memorial” has researched the history of state terror and repression in the Soviet Union. In 2012, the RIC "Memorial" won the Freedom of Expression award, awarded by the Index on Censorship. The Centre collects witness records, memorialises the Gulag, documents mass burial sites, runs educational initiatives and, ever more important in recent years, makes its comprehensive archive accessible in electronic form. Civil society in Russia today is under unprecedented pressure and protest has once again become a dangerous activity. The authorities are systematically persecuting their opponents, using arbitrarily applied and controversial legislation. NGOs that receive grants from abroad run the risk of being vilified as “foreign agents”, and the right to freedom of assembly is curtailed . Flige will be talking about her experience of running "Memorial" in St Petersburg, and outline their activities, the difficulties they face, and their successes. In Russian with English translation. This is joint event of Pushkin Club and Rights in Russia and all are welcome. ARTICLE 19 is seeking a consultant to conduct a full evaluation of a two year project, “Promoting and Defending the Right to Information in Russia,” funded by the European Union’s European Instrument for Democracy and Human Rights (EIDHR) programme. Natalya Taubina speaks at UCL on "Shrinking space for civil society in Russia: Challenges and new strategies"
In the past few years, the Russian Federation has adopted a number of laws significantly restricting fundamental rights and freedoms. Some of these new laws undermine the guarantees of the right to freedom of association—in particular, by introducing concepts such as ‘non-profit organisations performing the functions of a foreign agent’ and ‘undesirable international and foreign non-governmental organisations’. Being branded a ‘foreign agent’ or ‘undesirable organisation’ leads to substantial restrictions or, in certain cases, a total ban on activities, heavy fines, and potential criminal charges. Russian civil society organisations are in a constant struggle for the right to freely operate and continue their important work in the interest of Russian society. Faced with state restrictions, they are elaborating new strategies to ensure the sustainability of their activities. Pushkin Club, Rights in Russia and Index on Censorship held a joint event at Pushkin House on the evening of Thursday 20 April. This was an opportunity to meet someone whose name has been constantly in the news since her husband, Ildar Dadin, was arrested under a new law criminalizing repeated violations of Russia's stringent regulations on public assembly. Ildar Dadin was awarded the 2017 Index on Censorship Freedom of Expression Awards in the campaigning section. He is reportedly currently unable to leave Russia. Videos of the parts of the event where can be viewed HERE and HERE. A journalist and human rights defender covering Dadin’s courageous one-man pickets against human rights violations under the Putin regime and the war in Ukraine, Anastasia Zotova married Ildar Dadin in late 2015 after he had already been arrested. She continued to publicise his plight after his imprisonment in a penal colony in Karelia, where he was tortured, and during his subsequent transfer to another prison camp in southern Siberia. 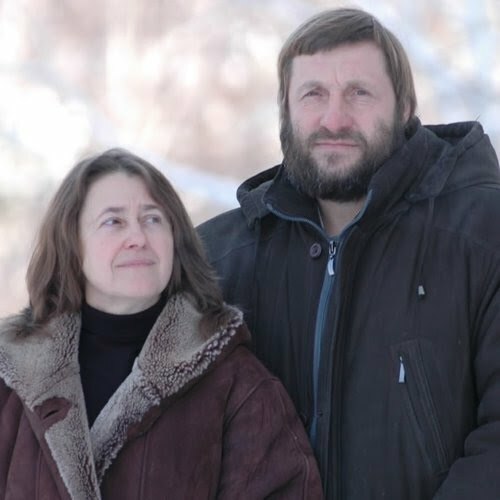 Husband and wife have done more than anyone, arguably, to expose conditions in Russia’s large and brutal penitentiary system which today holds dozens more political prisoners. She has been the inspiration behind the website Territory of Torture. The 2017 Index on Censorship Freedom of Expression Awards, for which Ildar Dadin was been shortlisted, took place at London’s Unicorn Theatre on Wednesday 19 April 2017. During the week, Anastasia Zotova also spoke at a joint event held by Index on Censorship and Doughty Street Chambers on 19 April. Pushkin Club, Rights in Russia and Index on Censorship are proud to invite you to this evening in conversation with Anastasia Zotova. An opportunity to meet someone whose name has been constantly in the news since her husband, Ildar Dadin, was arrested under a new law criminalizing repeated violations of Russia's stringent regulations on public assembly. Ildar Dadin is a finalist of the 2017 Index on Censorship Freedom of Expression Awards, but is reportedly currently unable to leave Russia. This is a Pushkin Club event and all are welcome. The event will be held both in English and in Russian with translation. The 2017 Index on Censorship Freedom of Expression Awards, for which Ildar Dadin has been shortlisted, will be held at London’s Unicorn Theatre on Wednesday 19 April 2017. During the week, Anastasia Zotova will also be speaking at a joint event held by Index on Censorship and Doughty Street Chambers on 19 April and at the Henry Jackson Society on 20th April. On Saturday, 11 March 2017, a large audience at the Women of the World festival at the Southbank Centre in London applauded as Valentina CHEREVATENKO, founder of the Women of the Don NGO, received a special award from Elena Kudimova, Anna Politkovskaya’s sister who lives in London. The principal winner of the 2016 prize was Jineth Bedoya Lima, a journalist from Colombia. The organisers of the award, the RAW in WAR charity, decided that in 2016, the tenth anniversary of the first prize award (which went to the late Natalya Estemirova), it would issue two prizes. The second 2016 award should be given, in their view, to another woman from Russia who, like Anna and Natalya, had also done outstanding work in several post-Soviet conflict zones. For more about Valentina and the Women of the Don, see earlier items in Rights in Russia and the new Wikipedia article about her and her organisation.